Lisa Strike was 26 weeks pregnant when she started having contractions. Her care providers realized the baby would require specialty care and called Mayo's NICU transport team. Today, Finleigh is a happy and healthy 2-year-old. Young Finleigh Strike would enter the world at 10:28 p.m. And immediately afterward, members of that team swooped in to start giving her the care she needed to survive her early arrival. "The transport team got there just in time, which was lucky for us because they took control of things from there," Lisa tells us. After getting Finleigh to Mayo Clinic's Rochester campus, her care team went to work, Lisa says. They intubated Finleigh and put her on a continuous positive airway pressure machine to help her breathe. "I spent a lot of time putting my hands in the isolette, giving her that familiar touch, voice and comfort," Lisa tells us. "I finally got to hold her after about three or four days." Lisa also spent a lot of time marveling at those who were taking care of her young daughter, telling KTTC-TV that Finleigh's care team came to feel like friends. "The staff, every day for 87 days, every single person I met — which was a lot — was great," she tells the station. 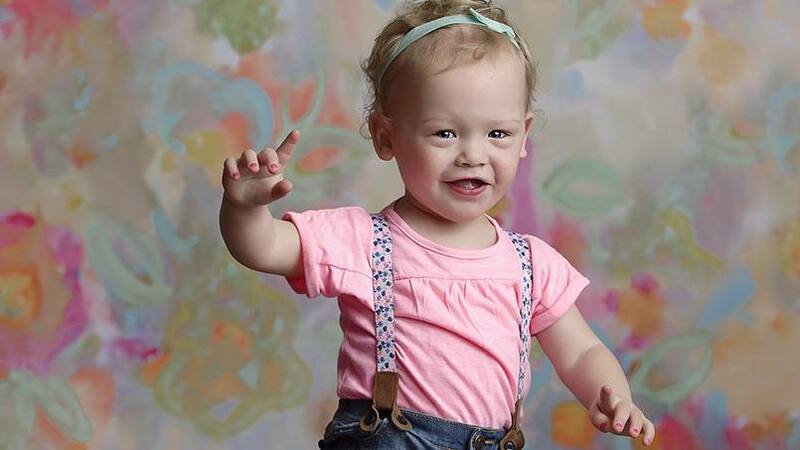 Today, despite coming into the world some three months early, Finleigh has grown into a happy, healthy two-year-old. Who happens to love to dress her dolls. And she has some unique hand-me-downs to share with them: "the very outfits and diapers she wore when she entered the world so much earlier than expected." Lisa tells us that her daughter's success story is due in equal parts to Finleigh's inner "feistiness" and the love and support of her NICU care team. "When I think back to her birth, I was never worried that she wasn't going to make it," Lisa tells us. "As time went on, I just became more grateful and thankful that we live so close to Mayo Clinic." You can read more of Finleigh's story here. Then, give us something to be grateful for by sharing your comments below before you use the social media tools to share this story with others. Thank you for sharing your story! As a retired former NICUTransport Nurse, you make my heart smile!